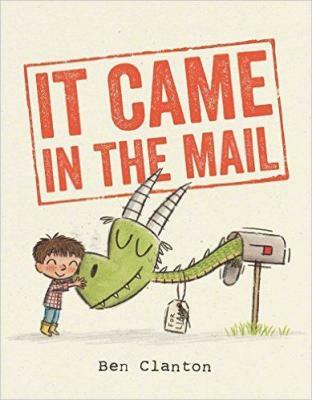 From the author-illustrator of Something Extraordinary comes a tale filled with dragons, pickles, friendship, and lots of mail—perfect for fans of Mo Williams and Bob Shea. Liam really wants some mail, so he writes a letter to his mailbox asking for something in return. His mailbox delivers, sending Liam more than he could have hoped for…and how! But as the mail starts to pile up, Liam realizes that the best packages and parcels are even better when shared with friends. Ben Clanton is an author and illustrator whose books include It Came in the Mail, Something Extraordinary, Rex Wrecks It!, Mo’s Mustache, The Table Sets Itself, Vote for Me!, and Rot, the Cutest in the World. He lives with his wife and son in Seattle, Washington. Learn more at BenClanton.com. "[A] genial twist on a fable of greed." "The wish-fulfillment plot will appeal to kids."